Now that we're finally widdling down all of the junk we've stored and accumulated over the past 6 years of marriage, we have found a few OLD pictures that we've laughed about. Some of them will go up on the attic with the rest of our old school pictures, but a few of them are so big we'll throw them away (I know, I know, I am like the world's worst for not being emotionally attached to things). Anyway, thought my blog readers would like a good laugh at my expense. 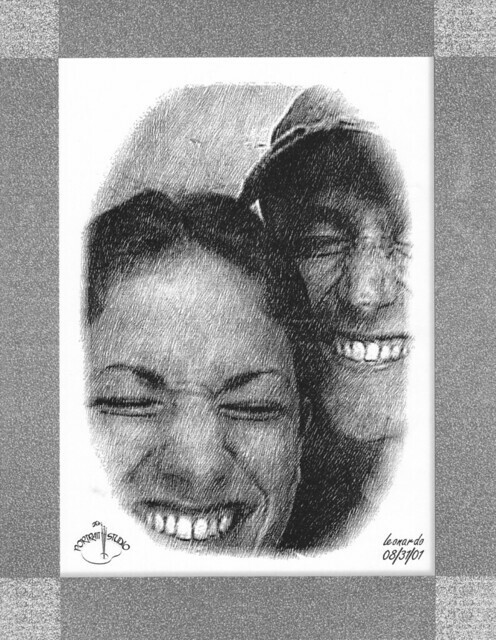 This was taken August 2001 in one of those "artist" photo booths at the mall... just a week after Drew got back from bootcamp. My dad used to call this our pooping picture because he said it looks like we were both pooping...LOL. 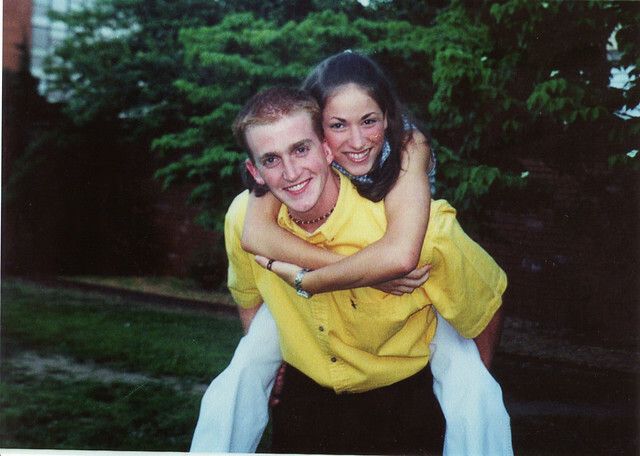 This was taken May 2001, on the evening of our 1 month (dating) anniversary. I was a freshman in college. Can you just say BABIES?!?! I can't believe this was almost 10 years ago. The greatest thing about these pictures? Knowing that I still have just as much fun and love this man more than on the days when they were taken. Thanks for making my life sweeter Drew!